CBD Oil (cannabidiol) is an oil derived from cannabis and hemp. It is a natural, plant based product that helps to feed the endocannabinoid system. Unlike it’s cousin marijuana, CBD oil is low in the psychoactive THC whereas marijuana is low in CBD. The endocannabinoid system is a group of lipid based transmitters that regulate a variety of physiological and cognitive processes including, chronic pain, PTSD, ADD, anxiety, skin conditions such as eczema and psoriasis, appetite, pregnancy, fertility, pain, mood memory and more. 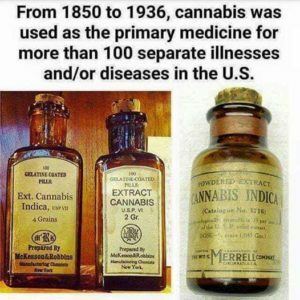 To read the studies as to what CBD oil can do, click here. While our products can be given to pets, we also have CBD cookies and toys for specifically dogs. CBD is legal in all 50 states. Here is the US patent for CBD oil. Not all CBD oils are alike. It is important to look at the ingredients, amount of CBD (mg) per serving, the cost per mg and how it is extracted. Some companies use the cheaper method of using a solvent to extract the CBD, whereas companies like Kannaway use supercritical carbon dioxide which extracts the compound with little damage to the product. To read more articles on this healthy oil on Facebook, click here. To watch videos on hemp, click here. To purchase, CBD oil in the US, click here. To purchase CBD oil outside of the US or for more information, please contact me at 602-441-5781 or click here. My Sponsor ID is 7872888. The salve is great for joint pain, any skin conditions or for general moisturizing of chapped or irritated skin. Apply a thin layer wherever needed.